The first line treatment for osteoporosis is a class of drugs known as bisphosphonates. Bisphosphonates inhibit the action of osteoclasts, the cells that destroy bone. The bisphosphonates that are approved for the treatment of osteoporosis and low bone density are alendronate (Fosamax), risedronate (Actonel), ibandronate (Boniva), and zoledronic acid (Reclast). Alendronate and risedronate are oral medications. Ibandronate is available orally or as an injection while zoledronic acid is an injection-only medication. Bisphosphonates are used for both prevention and treatment of osteoporosis, whether the disease occurs as a consequence of menopause or long-term steroid use. Alendronate and risedronate have been approved to treat osteoporosis in men and the others may be used "off label." Selective estrogen receptor modulators or SERMs are drugs that can either stimulate or block the effects of estrogen, depending on the location of the estrogen receptor in the body. In bone, SERMs work like estrogen, by increasing the density of bone. The FDA has approved the selective estrogen receptor modulator, raloxifene (Evista), for the treatment of postmenopausal osteoporosis. The medication has been shown to increase bone density and decrease the incidence of spine fractures. Because it can affect estrogen receptors, this class of drugs is not used in premenopausal women. Scientists suspect SERMs increase the risk of blood clots, although evidence is unclear. In addition to being a hormone, calcitonin can be given as a medication. Prescription calcitonin is available as an injection or a nasal spray. It is not a first line osteoporosis treatment because it has only been shown to reduce the risk of fractures in the spine but not in other bones. Also, calcitonin takes an average of five years to show a clinical benefit. Side effects of calcitonin include nausea, vomiting, and dry mouth. It can also cause a decrease in calcium in the bloodstream. Antacids are used for gastrointestinal issues, but that can have both positive and negative effects on bone health. Some contain calcium carbonate or other calcium compounds and double as a calcium supplement in addition to their heartburn-soothing abilities. Other contain magnesium or aluminum and long-term use can result in a reduction of calcium levels in the body. Parathyroid hormone is another naturally occurring hormone that is involved in how bone is formed and maintained. Teriparatide (Forteo) is an osteoporosis medication that is synthetic parathyroid hormone. Available in once-a-day injection form, this drug is usually self-administered by the patient or a home health care worker. Teriparatide is approved for postmenopausal women and men for the treatment of osteoporosis. It can increase bone mass density and reduce the risk of fractures; however it needs to be used for an average of 18 months to achieve optimal results. In a sense, teriparatide works in a manner opposite to that of the bisphosphonates; it increases bone formation while bisphosphonates decrease bone resorption to the blood stream. Scientists had the idea that using them together would work better than either one alone. However, several trials found that a regimen of teriparatide plus alendonate did no better than teriparatide alone. More on osteoanabolics. Teriparatide is usually given mostly to patients at very high risk for vertebral fractures, due to the high cost of the drug and hassle of regular injections. Teriparatide is expensive and must be kept in a refrigerator, making it more difficult to manage and administer than bisphosphonates. Many doctors now see teriparatide as the preferred treatment for glucocorticoid-induced osteoporosis. Denosumab is sold under the names Prolia and Xgeva. It is a monoclonal antibody that binds to the RANKL receptor in cells that develop into osteoclasts, and prevents that development. With fewer osteoclasts in the bone, the process of bone desorption slows. when the patient takes vitamin D and calcium Prolia is often used for patients with bone loss due to androgen depviation or aromatase inhibitor use. Romosozumab-aqqg is sold under the names Evenity. It is a monoclonal antibody that helps the body build new bony tissue by blocking the effects of the protein sclerostin. It was appvoed by the FDA in 2019. Vitamin D. Vitamin D supplements are not recommended as the only medicine for treatment of osteoporosis or even to prevent the disease, but it is often given as an adjuvant to other medicines. Odanacatib was an osteoporosis drug that worked by blocking the cathepsin-K enzyme in osteoclasts. There were very high hopes for it in the pharmaceutical market, and the developer, Merck, took it all the way to Phase III trials. But testing indicated an unacceptable risk of strokes. Odanacatib was never sold and further development on it was stopped. Drugs work only if patients take them and getting patients to comply with their doctors’ instructions is a challenge for all sorts of drugs. One reason many pills are designed to be taken once a day is that this regimen is easy to remember. Osteoporosis drugs may see low adherence because of the odd schedule (once a week for some bisphosphonates), discomfort after swallowing the pill, and concerns about side effects. German researchers report that adherence with bisphosphonates falls to "30-60% within 1 year". (http://www.ncbi.nlm.nih.gov/pubmed/20964548) A survey of raloxifene patients found similar numbers. Some public health officials actually recommend zoledronic acid over SERMs or alendronate because it can be administered once a year as an infusion. Many diseases are treated with combination therapy. The idea is that the second drug will have a synergistic effect. The two drugs can be administered either sequentially or at the same time. 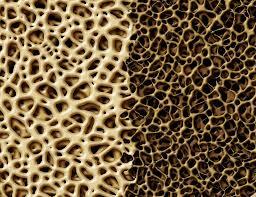 An osteoporosis combination regimen could be two anti-resorptive drugs or an anabolic plus anti-resorptive agents. If two antiresorptive medicines were used, it might be a case of one bisphosphonate and one non-bisphosphonate drug. See also our page on personalized treatment. Abstract: Antiresorptive therapies for osteoporosis: a clinical overview.